Major Wallace C. Hogan Jr., 40, who went by his middle name, Cole, served with the Green Berets, the Special Forces and, ultimately, as a general’s aide at the Pentagon. Major Hogan was laid to rest with full military honors in Section 64 of Arlington National Cemetery, within the shadows of the Pentagon where he fell victim to the September 11th terrorist attack. Cole served for 21 years in the Army. 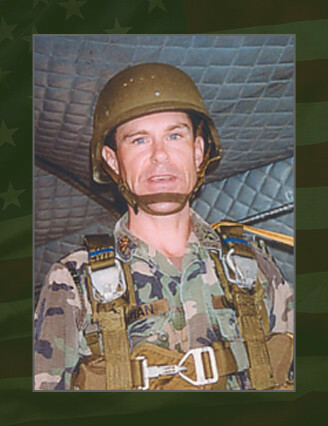 He received his commission in 1981 from Officer Candidate School and joined the Georgia Army National Guard as a Rifle and Mortar Platoon Leader. Major Hogan’s subsequent assignments provided him a broad base of troop and staff assignments. He attended the Infantry Officer Basic course and served with the 19th Special Forces Group (Airborne), Colorado Army National Guard, as the Detachment Executive Officer and later as the Commander.